UPDATE: Read my hands-on Garmin nuvi 500 review. 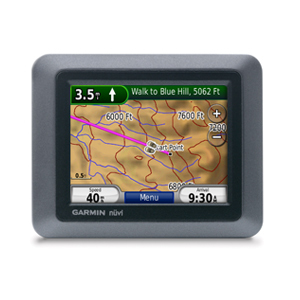 I've also posted a Garmin nuvi 550 page. 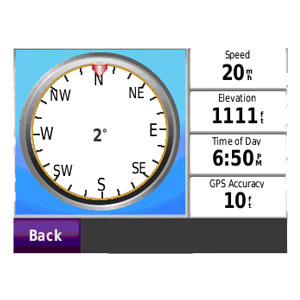 The rumors were true -- Garmin announced today the introduction of the nuvi 500 series -- multi-use navigators for driving, cycling, walking and boating. Ruggedized and waterproof, the nuvi 500 series sports a 3.5" touchscreen and appears to share the feature set and much of the interface of the nuvi 2x5 series I wrote about this morning, including the ability to add MSN Direct or FM/TMC traffic. The nuvi 500 comes with pre-loaded City Navigator and topo maps of the 48 contiguous United States, Hawaii and Puerto Rico. The 550 offers highway coverage of the entire U.S. and Canada but drops the topo maps. Both units have a removable, li-ion battery (rated at up to 8 hours), with a micro-SD card slot underneath it. A usage mode indicator at the top of the home screen (pictured below) allows you to change modes. Unlike the 2x5 series, the units support multi-destination routing, and I assume this applies to driving mode as well as the other modes. They do not support text-to-speech. EDIT: One big unknown is whether or not the The units fully support paperless geocaching. Availability is listed as the 3rd quarter, and I expect we'll see these units at the Outdoor Retailer (OR) trade show next month if not sooner. One retailer is showing an availability date of August 10 for the nuvi 500, which coincides well with an unveiling at OR. I'll either update this post or put up a new post as additional information becomes available. How is this unit supposed to mount on a bicycle? The standard nuvi ball-and-socket mount does not seem appropriate for use on a bicycle. I'm happy to discover that al last Garmin has released a multi-purpose device suitable for all-terrain purposes. Nevertheless they are really far from offering a decent successor of glorious 276c. Perhaps this is only a test for this kind of market. I hope that in the next month we could see an unit with enhanced features that will better suit the tastes of advanced users. and all the features we can find in units such as 276c or 60csx. Garmin adds China map coverage ahead of Olympics Heading to the 2008 Summer Olympics in Beijing? Garmin has you covered. 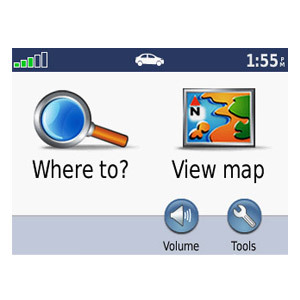 Two weeks ahead of the games, Garmin has released City Navigator China NT, though I have to wonder if the coverage is as good as is suggested by the map above. Here are some coverage and feature details from Garmin: PinYin-English language Full country coverage with complete intertown road network. Street level detail and point of interests for more than 980 cities, including Beijing, Shenyang, Shanghai, Tianjin, Qinhuangdao and Qingdao. Nearly seven million POIs, including sport venues, restaurants, hotels, airports, train stations and much more. Retailing for $119.00, the maps come on a micro-SD / SD card. Amazon has them listed but doesn't have them in stock yet, though as I post this, one third-party merchant has them.